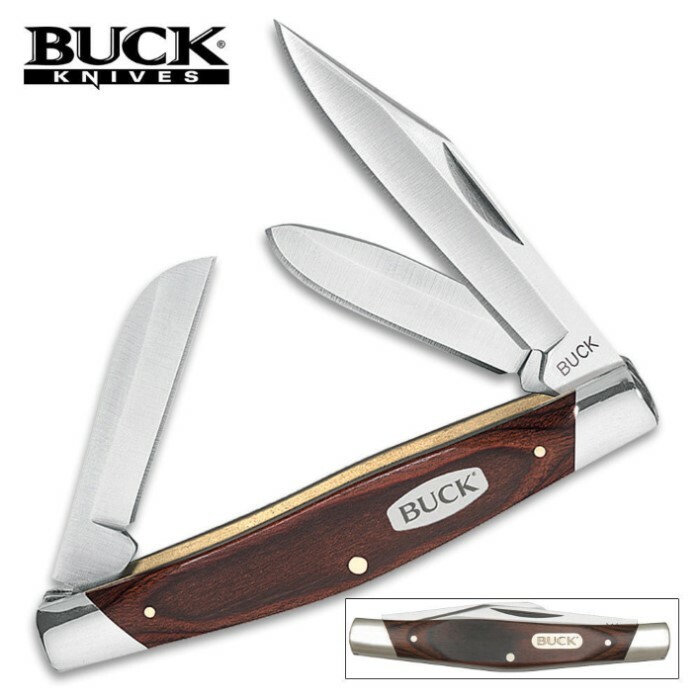 Buck Woodgrain Stockman Pocket Knife | BUDK.com - Knives & Swords At The Lowest Prices! Buck Knives boasts over 100 years of American made quality. This family owned and operated company makes knives for a variety of cutting needs from outdoor adventures to tactical and utility. 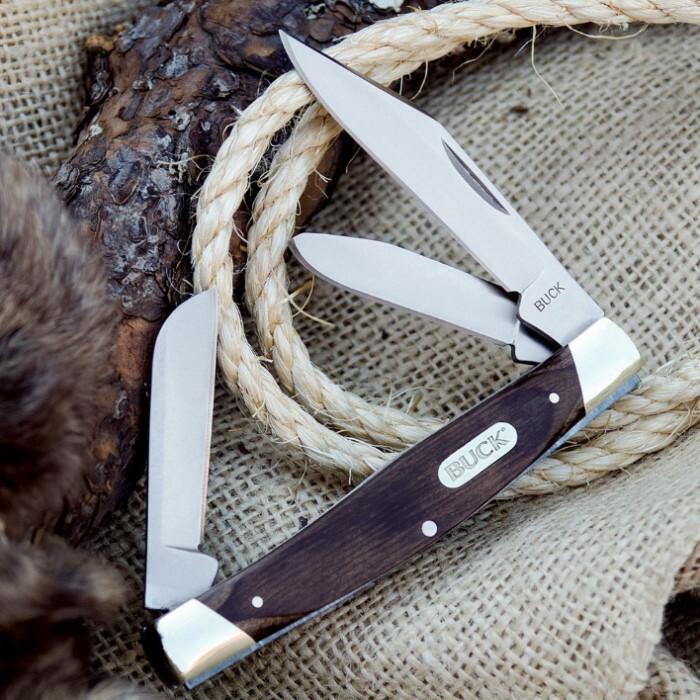 The Woodgrain Stockman features a classic woodgrain handle with the Buck “Classic Bolt” logo inlay. It has 420HC stainless steel clip, spey and sheepsfoot blades and nickel silver bolsters. 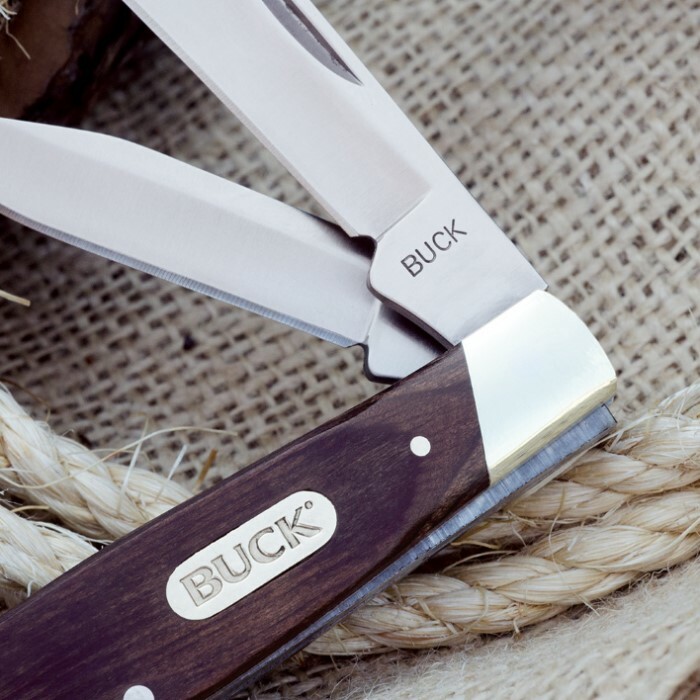 You need to own an American icon - get your Buck pocket knife today! Made in China. Not what I expected. If that is what you are looking for, buy it.